The Colour Revolutions in the former Soviet Union were arguably the twenty-first century’s first successful attempts to overthrow political elites through mass protest and civic society activism. They are of intrinsic interest to media scholars because concepts of media freedom were located at the heart of the protests against semiautocratic post-Communist regimes and have continued to characterise political debate in Georgia, Ukraine and Kyrgyzstan. The ideals that underpinned the events were echoed several years later in the Arab world, and both initially involved influential networks of activists ranged against political elites. The events of the Arab Spring were often facilitated and given added impetus by the advances in news media technology which had taken place over the latter half of the decade and which allowed for more effective networked communications and a more open public sphere to thrive, even in autocratic environments. But while the role of evolving media technologies has been extensively analysed and critiqued in the context of the Arab world, its use in the more mature post-Revolution environments of the former Soviet Union has been largely overlooked. This book captures a “snapshot” of the contemporary role of online journalism in rapidly evolving post-Soviet, post-Colour Revolution political environments, exploring the wider journalistic and political context alongside the use and influence of online news sites. In particular, it aims to fill a gap in the literature by undertaking qualitative work in the post-Colour Revolution nations which seeks to assess the views of active journalists on the role of online political journalism in those environments. While the role of the evolving media technologies in the events of the Arab Spring has attracted significant attention among media scholars, research on the impact of the media in the Colour Revolutions remains scarce. As Simon Gwyn Roberts rightly points out, this is an unfortunate omission and a manifestation of a rather selective geopolitical focus of media and communications research – but also, we could add, a symptom of the field’s relentless emphasis on the newest technological developments at the expense of longitudinal analysis and informed historical comparisons. Roberts’ book is a welcome corrective to these trends, and shows that many of the trends noted in the Arab Spring – above all the ideal of media freedom, but also the ‘networked’ nature of political protest and its dependence on online media – have clear counterparts in the Colour Revolutions, even though the digital media environment at the time was centred primarily on online news platforms rather than social media such as Facebook or Twitter. 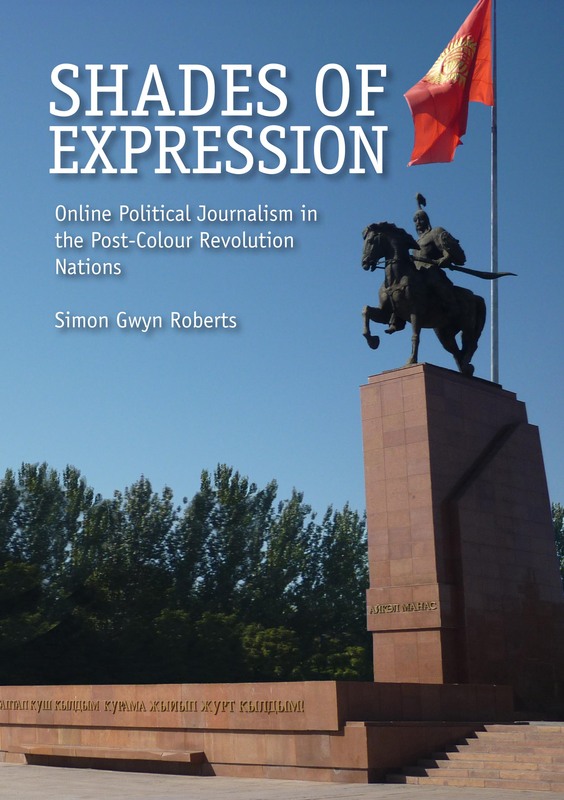 Simon Gwyn Roberts, Shades of Expression: Online Political Journalism in the Post-Colour Revolution Nations, 2013, ISBN 978-1-908258-07-6, £13.99.